Throughout my mother’s final illness I was under more stress than I realised and lost my habit of reading. I just felt unable to concentrate, and was definitely too tired to read in bed at night. It’s taken a few months, but I’ve now bought a pile of books and intend to make up for lost time. 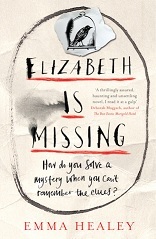 I had read reviews of Elizabeth is Missing and decided to buy a copy as it seemed to deal with the subject of dementia, something I still feel very close to. Emma Healey writes as Maud, an octogenarian who has memory problems; the word dementia is never mentioned although the symptoms are clear. As a former carer for somebody with dementia I have talked with others about trying to imagine the experience and Healey makes a very good job of trying to get into the mind of somebody with the forgetfulness, confusion and anxiety that are part and parcel of this cruel illness. Maud’s obsession with trying to find her friend Elizabeth swoops and swirls around the disappearance of her sister Sukey more than 60 years before the narration of the novel. Elizabeth is Missing crosses genres: it is part detective story, part reminiscence, and part a sad coming to terms with what can happen to us as we get older. The narrator’s obsessions with planting marrows, buying tins of peaches and looking for Elizabeth are juxtaposed with the shreds of her life as a teenager after the war, a time of austerity and rationing and buying her first lipstick. Above all it is a tale told by an unintentionally unreliable narrator with a Miss Marple like instinct for fathoming out an unsolved mystery. You will be satisfied and unsatisfied, moved and touched by Maud’s story. And if you have had experience of dementia or Alzheimer’s you will recognise a journey that you have experienced as a co-traveller to a place that you hope you will never visit yourself. It’s been a long journey since mum broke her hip nearly eighteen months ago, and was then diagnosed with Vascular Dementia earlier this year. At one time I used to visit once a week and we would generally go for a pub lunch or afternoon tea, now I visit twice a week and have trouble finding things to talk about. As time goes on she has less and less interest in the outside world, friends and family and no longer follows her beloved soaps on the telly. Her frailty and disability mean that leaving the flat involves a great deal of effort. An able bodied person would feel tired contemplating the difficulty of getting her ouside and into the car. Initially Careline, with its accompanying red buttoned bracelet was a safety back up; now it is pressed with increasing regularity and ambulances arrive and paramedics pick mum up from the floor when she has fallen and persuade her to go to hospital when they think it necessary. There are the other occasions when she summons help but can’t hear the responder at the other end, so of course they send in the emergency services as a precaution – what mum refers to as the army and the navy arriving. We’ve given up dashing over when Careline phone telling us that mum has been buzzing: we are aware of our physical and mental weaknesses and the need to try to conserve our strength. As she still refuses to move to residential care, we remain on alert, anxious and worried what each day will bring. When we were visiting every day after mum’s discharge from hospital with a repaired hip, we soon realised that we couldn’t carry on indefinitely. The almost daily hospital visits, plus more than three weeks of going to her home every day (in my case remaining until she was safely in bed at night) began to take their toll. So we scaled back, in my case to twice a week as I have already mentioned. I could feel myself becoming tired, ratty, irritable and tearful, but believed I needed to do my best for my mother. Whenever I felt exhausted it somehow never seemed like exhaustion when I moved on to the next level of even greater fatigue. For some months I (who rarely have trouble sleeping) have been suffering from various degrees of insomnia. I gleefully pounced on the opportunity of taking a course of stress management workshops provided by my local Carers organisation. Believe me it is easy to do the theory, but trying to practise positive thinking, flip the negativity and fit in relaxing meditations is not as easy as you want it to be. We all bonded well and it was therapeutic to discuss our caring roles and their challenges with others in a similar position. I also attended dementia awareness workshops, which will lead to another regular support group. In addition I have been seeing a counsellor for about a year and trying to work through problems that go back to my childhood and are now compounded with everything else happening in my life. The final straw was when I needed to visit my GP at the weekend and the waterworks welled up again. She insisted on anti-depressants and I didn’t argue. If they take the edge off the anxiety and the stress I don’t care. This hamster is unable to climb out of her wheel at present, so she keeps whirring round and round and swallows her pills like the good little girl mummy taught her to be. As I dig deeper into my family history I find myself becoming more and more interested in Jewish history throughout its existence. My ancestors came to England from Poland, Lithuania and Belarus, whilst my husband’s parents arrived here more recently from Hungary (as Holocaust survivors) and Russian Georgia. My attachment to my antecedents, both familial and Jewish people in general, urges me to visit synagogues in other countries whenever I get the chance. Not so much from a religious curiosity, but from a desire to learn about the Jews who lived in these places, and to mourn the passing of those who perished for their religious faith. 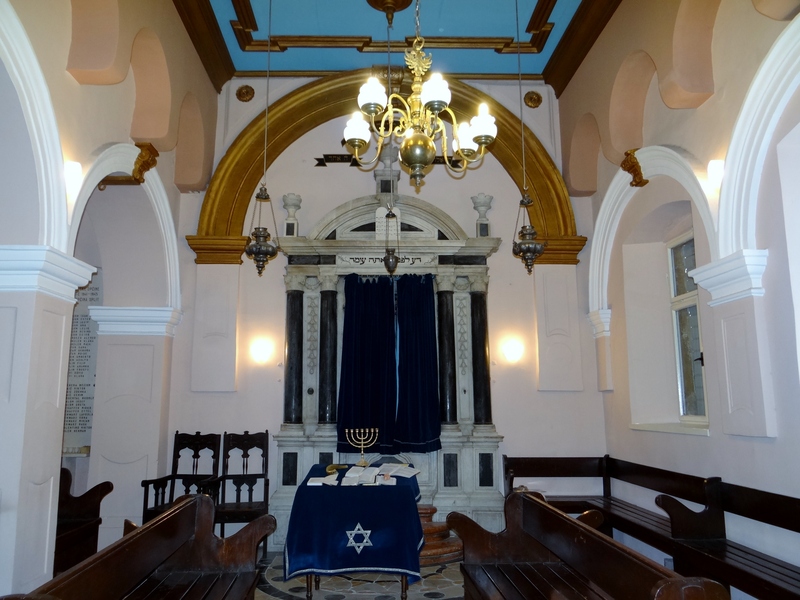 On a recent Adriatic cruise I had multiple opportunities to find out a little more about various Jewish communities, including those in Corfu, Split and Dubrovnik, finishing with the city which gave the world the word ‘Ghetto’ – Venice. Romaniotes were the first Jewish inhabitants of Greece and her islands and their presence dates back 2000 years, although they differ from the Sephardi Jews who arrived from Spain and Portugal after 1492. 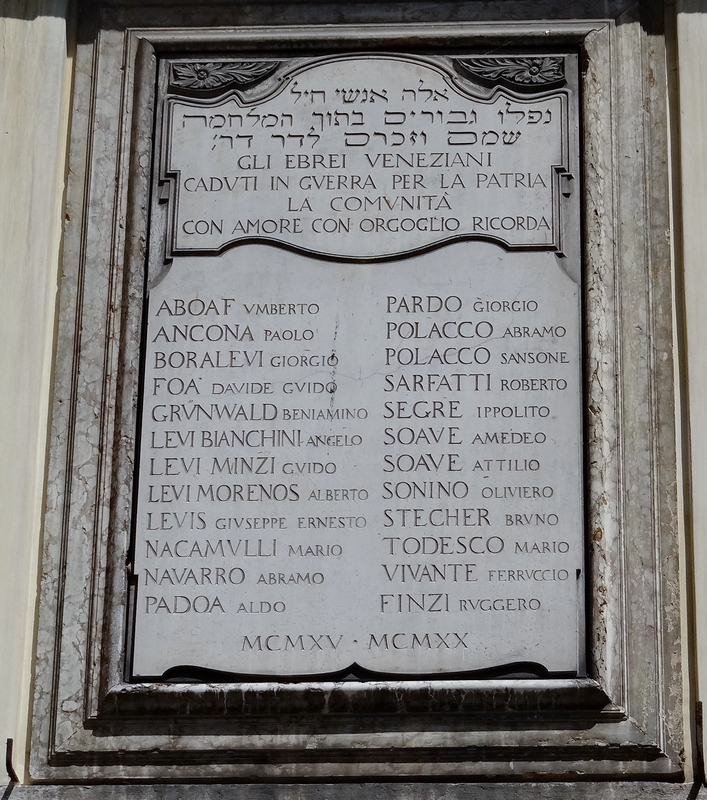 These immigrants from the Iberian Peninsula were later joined by Italian Jews from Apulia on Italy’s Adriatic coast. In 1622 Corfu’s Venetian rulers decreed that the Jews relocate to an area sandwiched between Porta Reale and Porta di Spilia, subsequently known as ‘Evraiki’, the name by which it is still known. Of the three synagogues in this area, two were destroyed by bombing in 1944, leaving the nineteenth-century building on Velissariou Street. The same year the Gestapo rounded up the Jewish population of 1900 (200 of whom escaped and were sheltered by fellow Greeks) and sent them to Auschwitz-Birkenau to be gassed. 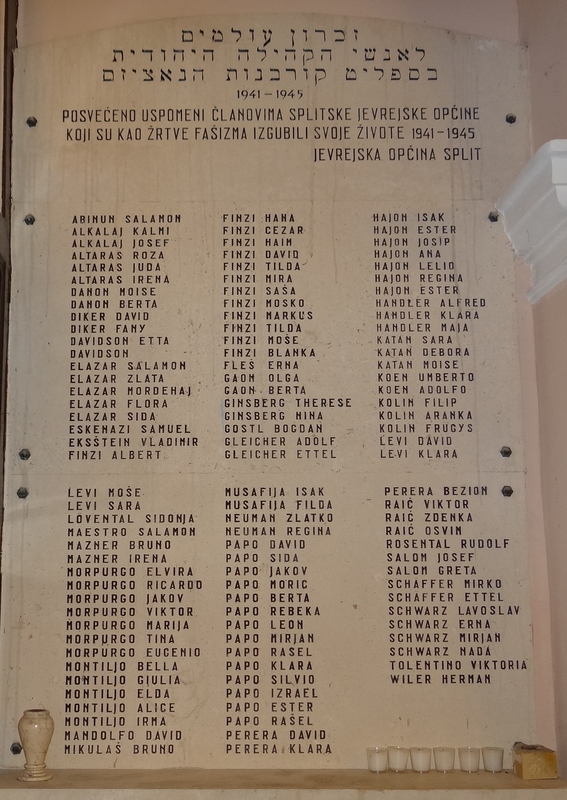 They are commemorated on a plaque in the building. The current Jewish population of Corfu now numbers approximately 65 people. 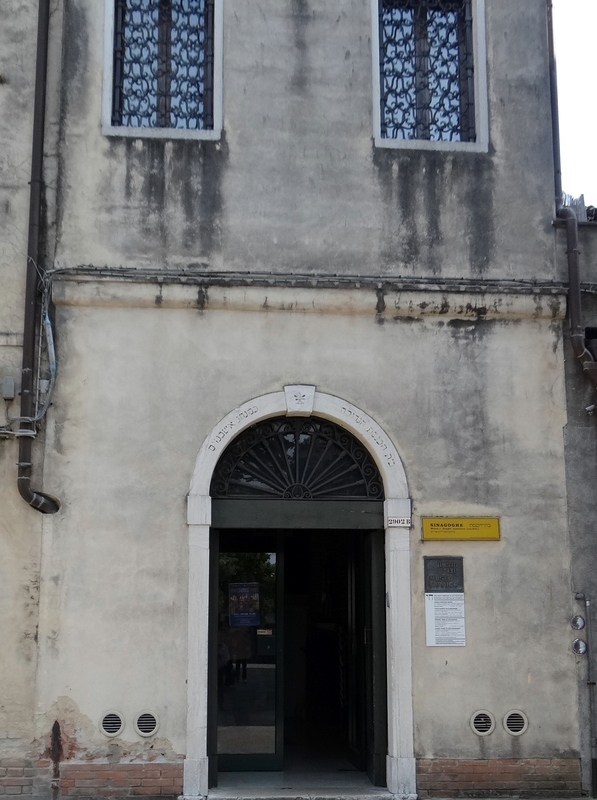 The Corfu synagogue was attacked by arsonists three years ago, but no evidence of this vandalism remains today. I was particularly impressed by the unusual stained glass windows. Split (in Croatia) has been home to a Jewish presence since the third century when Jews settled in Salona, just outside of the modern city. Four hundred years later when the city was conquered by the Avars they moved to Split where they sought refuge in Diocletian’s palace, attaching a synagogue to its western wall in the sixteenth century. A Jewish ghetto was later created on the other side of the city where a new synagogue was built in Zidovski Prolaz (the Jewish Passage). The pre-Sephardim were also joined by Sephardi Jews fleeing from the Spanish Inquisition towards the end of the fifteenth century. From 1941 Croatia was ruled by Italian Fascists, who were supplanted in 1943 by until the arrival of the Nazis and the Croatian Ustashe. The latter transported Jews to their own concentration camps, where approximately seventy-five percent of Croatian Jews perished. 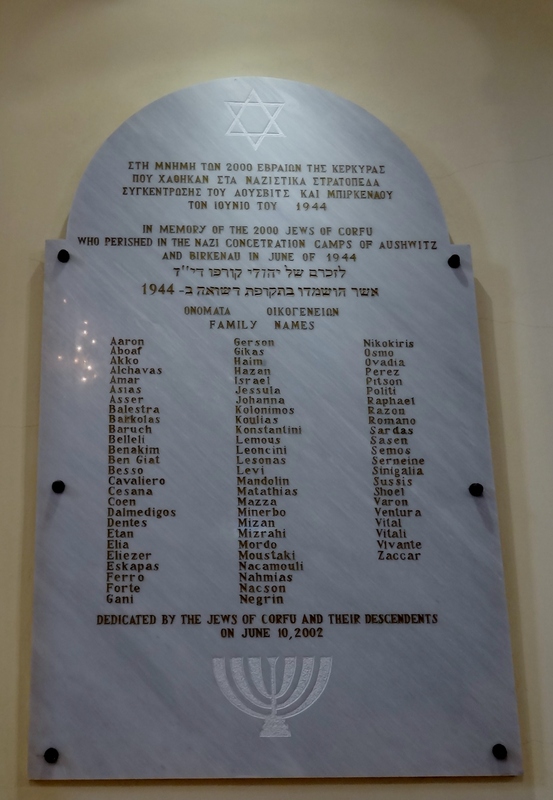 The synagogue also has its own memorial to those who never returned after WW2. 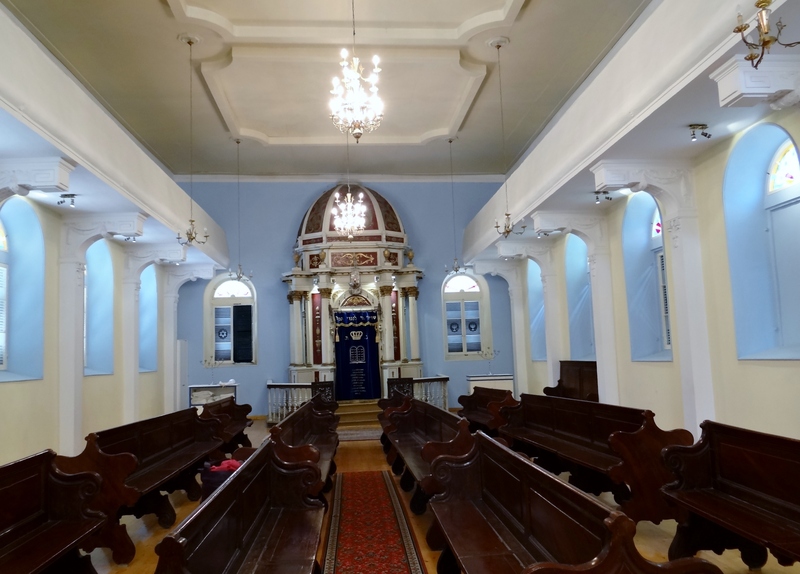 Along the Dalmatian coast and within the old walled city of Dubrovnik, the synagogue boasts of being the oldest Sephardic synagogue in use and the second oldest synagogue in Europe – its older relation can be found in Prague. 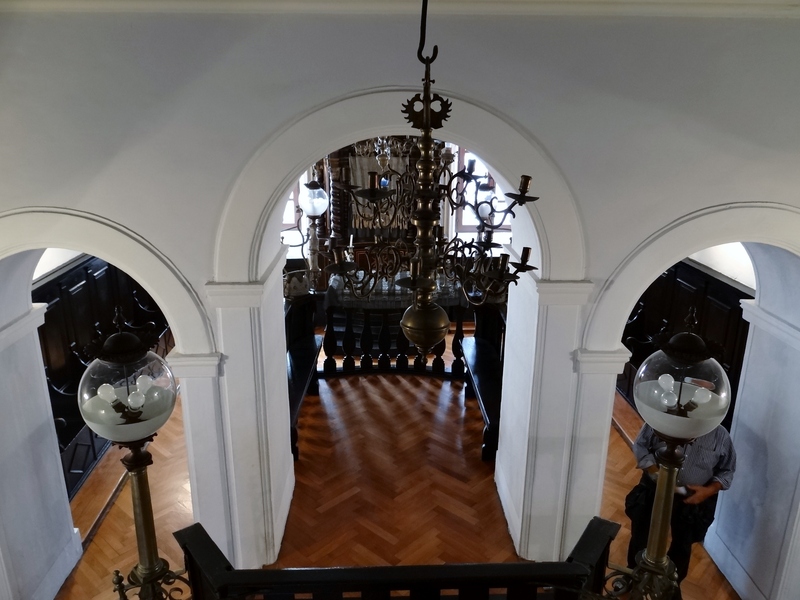 The prayer house is situated on the upper floor of a medieval house at Zudioska 5 and sits above a small museum, itself a poignant reminder of the fate of Dubrovnik’s Jewish community, and of the yellow stars they were forced to wear that identified them and their religion. On 29 March 1516 the Venetian Republic created the first Ghetto in Europe. Jews were confined between sunset and sunrise until Napoleon unlocked the gates permanently in 1797. 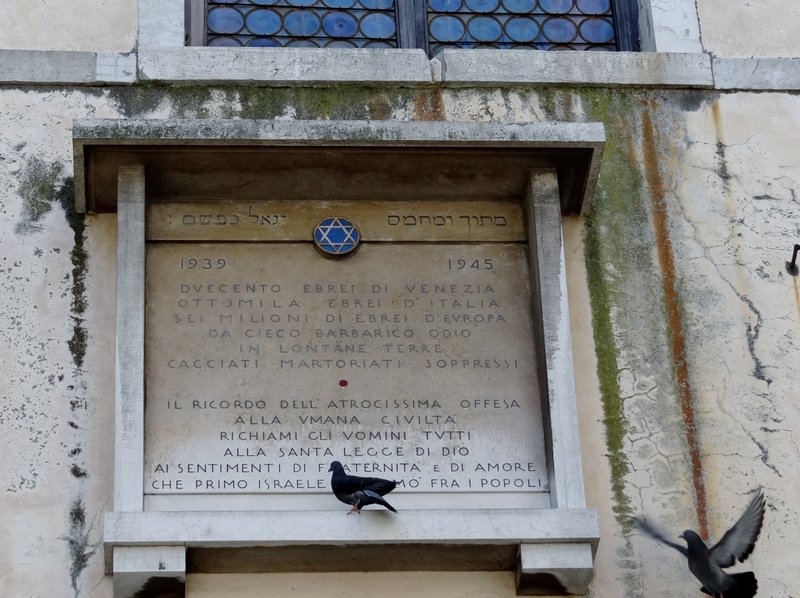 Twenty-first century visitors to la Serenessima can now visit the Jewish Museum (opened in 1955) throughout the day at Campo del Ghetto Nuovo 2902b . The museum is the starting point of the ghetto tour and will take you to four synagogues in the area. 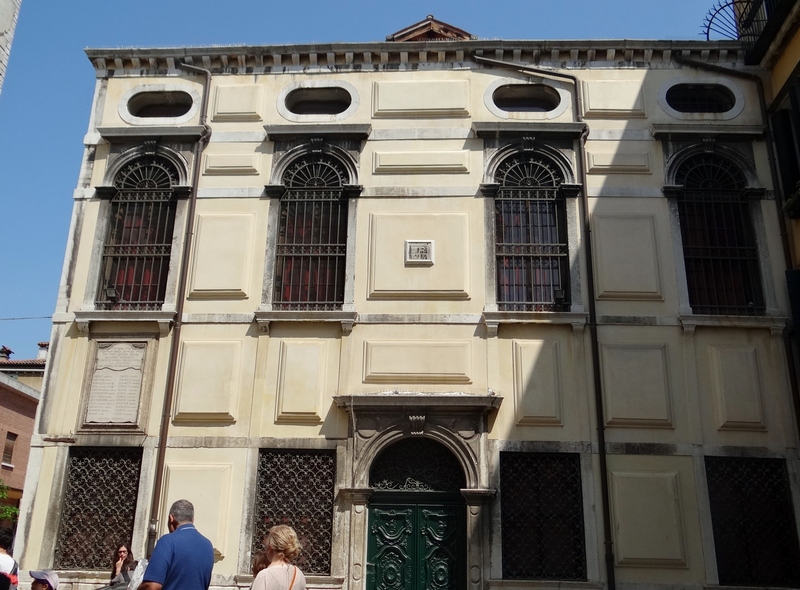 The Schola Levantina was the first to be built in 1538; the Schola Canton and the Schola Tedesca are both housed in the same building as the museum; the Schola Italiana (built in 1575) can also be found on Ghetto Square and the remaining synagogue, the Schola Spagnola is the largest of the five, built in the sixteenth century. Unfortunately photography is prohibited, but you will be able to find images online. For this reason I can’t quite remember which building was which, but do recall that they have all been refurbished, generally in the eighteenth century in baroque style. Of the two synagogues in general use one is used in the summer as it is cooler, and the other is used in the winter, for the opposite reason. Again I forget which is which, but this is a view of the outside of the Schola Spagnola – the Spanish Synagogue. Further information can be found on the Ghetto Ebraico di Venezia website: http://www.ghetto.it/ghetto/en/contenuti.asp?padre=1&figlio=2. 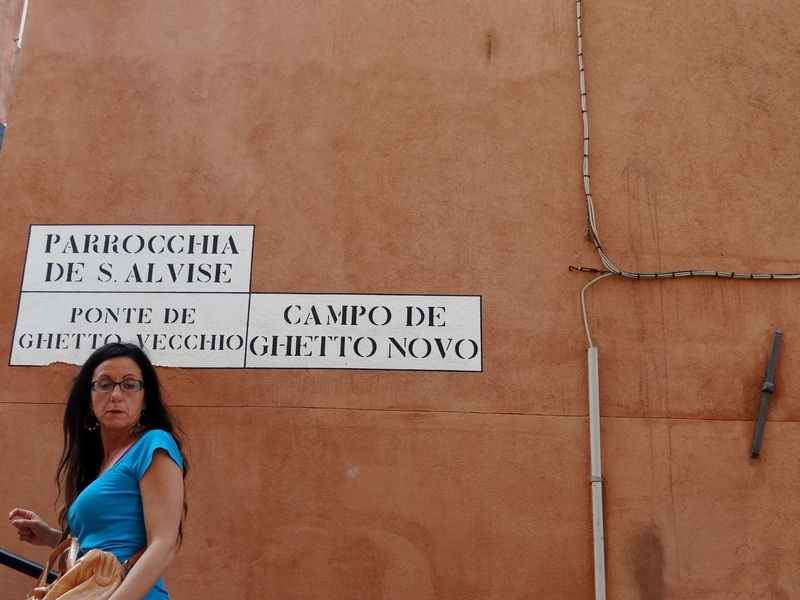 A strange fact of the Cannaregio (the ghetto area) is that the old ghetto (Ghetto Vecchio) is newer than the new ghetto (Ghetto Novo). I forgot to ask why. This is the bridge separating the two districts. I apologise for the ubiquitous tourist who always manages to get in the way. as well as the 6 million victims of the Holocaust. If you are a religious Jew and find yourself in Venice on Shabbat or during a religious festival, the area is surrounded by an Eruv for carrying items and pushing wheelchairs and pushchairs, and if you are strictly observant you will also be able to find kosher food, but obviously not on Saturdays and festivals. I would be happy to hear from others who have visited these places of Jewish history and interest and learn of their thoughts. Please excuse any shortcomings in the above. It is all written from memory from a little over a month ago and no notes were taken. How do you like to watch yours? Multiplex, flea pit or barn? I’m old enough to remember when cinemas were still a throwback to the theatres that they replaced. They used to have magical names like the Essoldo, the Alhambra or the Astoria where uniformed commissionaires used to organise the queues of moviegoers who would line up for separate performances. Regardless of programme times, you could still take your seat halfway through a film and then sit right through the programme and stay for the part you had missed. Usually there would also be an usherette with a red beamed torch to show you to your seat if the lights had already been turned down. As children growing up in south London, our favourite venue was the Astoria, Brixton (now the Academy) where the interior of the auditorium was decorated and modelled to resemble a Moorish palace. Just gazing up and all around, instead of at the screen, was entertainment in itself. As well as the smartly dressed commissionaire there would also be ladies selling ice creams and cold drinks from large trays hanging from their necks. If you went to the pictures on a regular basis you might have your particular favourite, or you might want to chop and change: Kia-ora orange squash, Mivvi, Walls or Lyons Maid ice cream, or just salted peanuts. We didn’t supersize, nor did we munch from giant buckets of popcorn washed down with a gallon or two of a heavily carbonated drink. When I was still quite young, and even into my teens, we hadn’t become heavily Americanised, hence the difference between refreshments then and now. We went to the pictures to see a film, never to a movie house to see a movie. The main feature may probably have been an American import, but the Pearl and Dean adverts (ba ba ba ba ba ba ba ba ba…) and the ‘Look at Life’ short films were as British as they could be. Especially with the precisely enunciated voiceovers that would introduce us to events and occupations in and around our island as well as in other countries of the world. Most people would go to see a film weekly and the two main chains (ABC and Odeon) showed new releases on a weekly basis. You eagerly awaited the latest production featuring your favourite films stars, or even singers. For an Elvis fan like me, the only chance you would have of seeing your idol was on the silver screen, where he would appear larger than life. Fans followed their favourite heart throb actors, be they Steve McQueen, Paul Newman or Marilyn Monroe. Of course our parents would have had different priorities, including Humphrey Bogart, Gregory Peck or Bette Davis. If you didn’t want to wait for a film to go on local release you could always go ‘Up West’ to enjoy a film in one of the more plush Leicester Square cinemas, although you had to be prepared to pay the difference in cost. Nowadays cinemas seem to have lost a great deal of their former glamour. Although we are still in a recession, somehow seeing a film doesn’t offer the escape that it would have presented during the 1930s and the dark days of World War II. Film stars no longer have the charisma they once had. They sell their stories to magazines like Closer and Heat and people try to emulate them and their life styles. With these changes in viewing habits cinema venues have also undergone a major alteration. 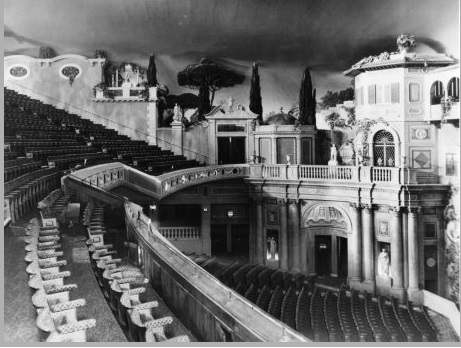 Many of the old movie theatres have been demolished or restructured. Large picture houses have been converted into venues that can show two, three or four films in smaller ‘screens’ and large multiplexes have been constructed, often in conjunction with shopping malls, so that viewers have a much larger choice of films to watch at any given time. 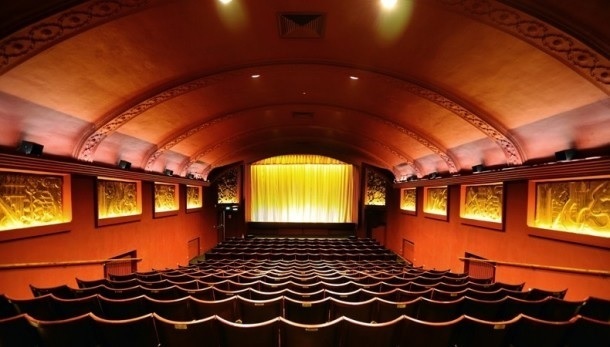 Of course there are still cinemas up and down the country, such as the Phoenix in East Finchley, that defy this trend and are classed as art house cinemas, showing independent and foreign films. Some of them retain the picture palace traditions of the 1920s and 1930s when they were built, and have been extensively renovated to restore them to their former art deco grandeur. 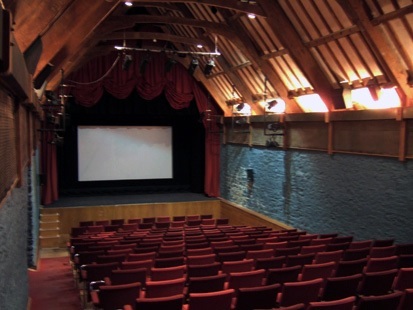 On a visit to Totnes in Devon my daughter took me to see ‘A Long Walk to Freedom’ in a converted barn on the Dartington Estate; a cosy cinema with its original vaulted beamed ceiling, where the seats are conveniently raked so that everybody had a good view of the screen. Perhaps as more and more people buy larger and larger televisions for their living rooms, there will be even fewer visits to the cinema. Why venture out on a cold wintry night to see a film with a host of other people, all munching away at their popcorn and slurping their CocaCola, if you can watch in the comfort of your own home? 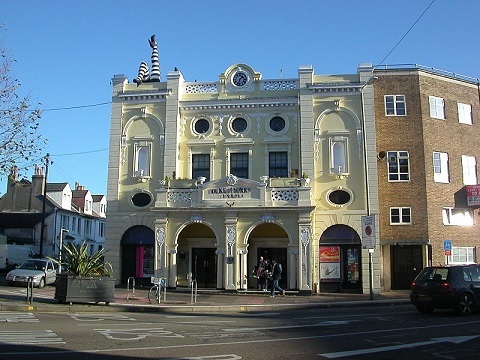 On the other hand you can still visit some beautiful old picture palaces, such as the Duke of York’s Picture House in Brighton. Opened on 22 September 1910 it is Britain’s oldest purpose built cinema that has continued to screen films for longer than a century. I think I would rather join the queue for the 5 shilling and sixpenny seats (or whatever the equivalent cost is now) outside that kind of building than watch a DVD on my home television. The power of words is an immensely strong one. Without words we wouldn’t be able to communicate and share ideas, and without the written word it would be impossible to read what others have written. I recently had an interesting day built on the power of words. During the afternoon I helped to run a class where we discussed, and then attempted to compose our own, poetry. We were a mixed bag, men and women with varying interests, some of whom hadn’t had a huge amount of exposure to poems. I brought along copies of a few different verses: Henry Shukman’s ‘Spring Lamb’, ‘Adrian Henri’s Talking After Christmas Blues’, and A A Milne’s ‘Daffodowndilly’. We started with the Shukman poem, which evoked a range of responses. The overall feeling was that it was very emotive, started a little sadly and pessimistically, and finished with a happy ending. The language is relatively simple, but the poem does exactly what it sets out to do, it leaves the reader feeling happy and optimistic. We also agreed that it doesn’t follow rigid rules, nor does it rhyme, but it fits in with the theme of renewal that is prevalent at Easter, and therefore in the spring. We then went on to look at the Adrian Henri which is partly in rhyme, follows some basic patterns, but also breaks them. It conveys human emotions and feelings of loss. We agreed that it was probably a man writing about a broken relationship with his wife or girlfriend, and unlike the previous poem it didn’t have a happy ending. It also drew a response from a widower in our group, who read us a poem that he’d written about his wife after her death. Even though he is not a poet, we were equally touched by his use of words and felt honoured that he offered to share these extremely heartfelt words and emotions with us. The final piece was ‘Daffodowndilly’, which may seem like a simplistic poem for children, but which is rich in imagery, anthropomorphising a flower. It also provides a surprise in its final line as it juxtaposes the statement ‘Winter is dead’ with the earlier light, colourful imagery of spring. The overall impression was of an informal class that had been enjoyed, and possibly where expectations had been confounded. I’m very much looking forward to the next time we meet. A couple of hours later I attended a lecture at University College London about the final years of the reign of Queen Elizabeth I, and of the responses evoked in literature and art to the fact that the queen was past her fertile years, remained unmarried and childless, and there was no successor to follow her to the throne. This lecture was so skilfully given, and so easy to follow, that it made me wonder why I hadn’t made all these assumptions myself. However, in the hands of another academic, who possibly may not have the gift of explaining and conveying these same theories in a way that was easy to understand, it could easily have turned into a boring and uninteresting hour. We don’t have to be academics to read and learn from the printed page. We can all enjoy on different levels as the fancy takes us. But what a strange place the world would be without the written word. The Big Society: Are We Really All In It Together? At least Stephen Hester and his huge bonus are not on the front pages again today. My other half tried to convince me that the RBS boss is worth all those shares and explained how much money Mr Hester has saved his bank. Sorry, I’m still not entirely convince and need somebody to explain to me, very slowly, why bankers are so highly valued. In my opinion there are many people working in far less high profile jobs and professions and who contribute to society in much more beneficial ways. From where I’m standing it appears that our cabinet of millionaires, and multi-millionaires are far more closely allied to the ‘fat cats’ of industry and big business, than they are connected to the majority of people in Britain. Although I’m jobless, I’m lucky that I don’t need to apply for benefits, although I would love to work. However I use some of my spare time to volunteer and help out others and I believe I have I much more balanced and sympathetic view of those who are far less well off than I am. Today I put money in a collection box for Alzheimers and Dementia, simply because I’ve often stood in the same spot and collected for my local branch of Mencap. Life is not fair these days, and can even be extremely cruel, but I usually feel pretty good in myself after a couple of hours holding out a collecting tin and feeling it getting heavier and heavier. I know what I take in an hour or two would be a mere drop in the ocean compared to the earnings and bonuses of the big bank bosses. I often feel incensed when people smile at me and walk away without putting a penny in my tin, but I feel more of a connection to those less fortunate than I would do if I carried on living my own self-centred life. I think those of us further down the heap have more of a connection than those who preach to us. Would they really want to donate spare time to help people learn the internet for nothing at their local library (assuming that they have one that is still open)? I will expand this to teaching computing and internet to elderly carers in my area next month. These are the unsung heroes of our society. 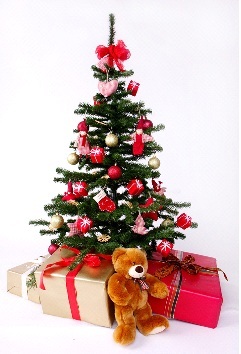 Those people who have no option but to care for friends and family with disabilities. The people they care for are not scroungers, but people who are afflicted with problems, difficulties and illnesses that prevent them from working. In spite of these handicaps, I know of men and women with learning disabilities who work to a certain extent and do the best they can. And I haven’t heard one of them moan or grumble about their situation. They just get on with it and carry on as best they can. We are definitely not all in it together. In Animal Farm George Orwell famously stated that ‘all animals are equal, but some are more equal than others.’ It was ever thus and will never change, unless those who are more equal roll up their sleeves to help those who are less equal. I’ve been a Penelope Lively fan for years, so I jumped at the opportunity of attending a radio recording of her talking about her Booker prize winning novel, Moon Tiger. 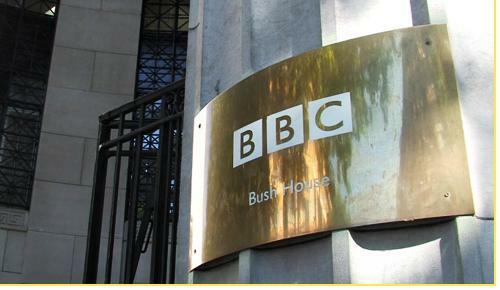 I’ve been to the BBC Radio Theatre several times, but this was a World Service programme, so it took place at Bush House. The experience was a completely different one. We were taken down a couple of flights of stairs and across a courtyard then down a further couple of flights, ending up in the bowels of Bush House. Having started out at the Kingsway entrance to the building, we were now over on the Strand side. In a highly civilised manner we were offered glasses of wine before going into the studio, where Penelope was already seated with Harriett Gilbert. There were only about 30 of us in the small studio, and I was told that mine was to be the second question of the programme. After Harriett introduced Penelope, the writer read a short passage from the novel before taking the first question. The pattern of the programme was a series of questions, some taken from the audience, others put to Penelope by Harriett, who had received them by email, and a couple more came in by phone from around the world. It was interesting to take into account the questions posed by others and to learn of some of the writer’s insights into her working processes and the building up of character. My question was on the conflicting perspectives given in the novel, others asked about the research put in to build up a story, why the story didn’t have a necessarily happy ending and how much of the writer was in the protagonist. It will be interesting to listen to the programme when it is broadcast in a few weeks, especially as our hour and ten minutes in the studio will be edited down to 53 minutes. After that the programme will remain in the BBC’s archives indefinitely.